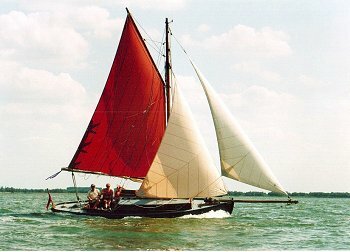 Maryll is one of the last true sailing nobbies to be built, although she was built with an engine in line. Excellent racing record, including VKSJ European Challenge Cup winner for best overall performance in Classic Yacht events, Victor Ludorum at East Coast Classics, London Frostbite Race winner and prizes at many other events. Heavily built compared with yachts of her size, with same standard oak frames and larch planking as much larger nobbies.